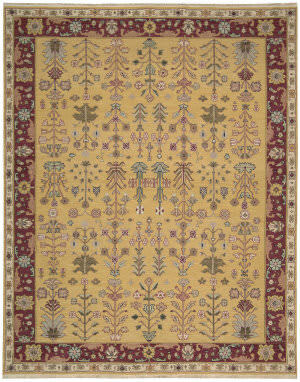 …of golden yellow sets the scene for an inspired design rich in Persian traditions. 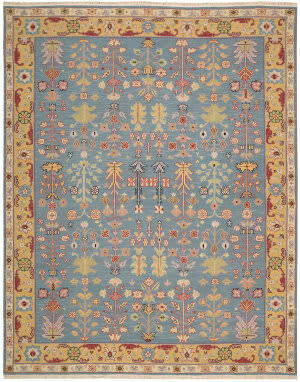 A marvelous profusion of intricate botanical forms in soft blues, greens and rose grows with superb clarity within a border of earthy sienna red. 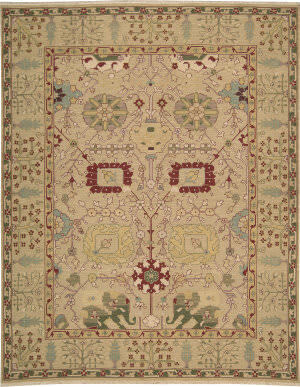 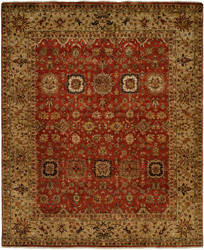 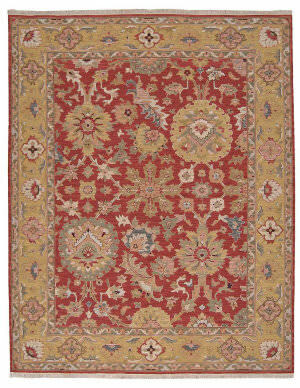 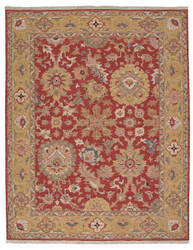 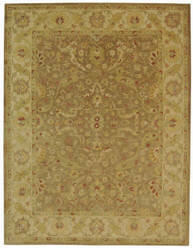 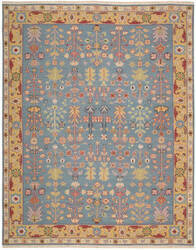 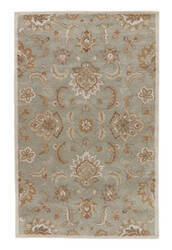 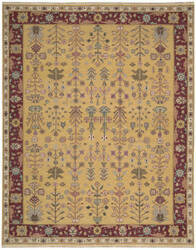 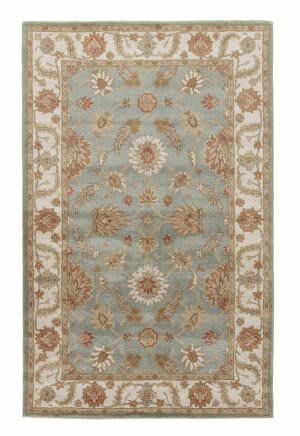 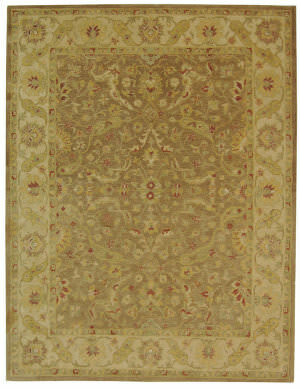 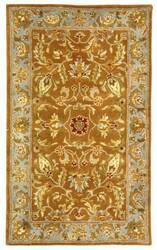 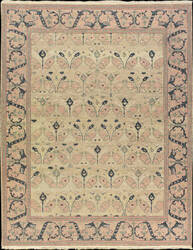 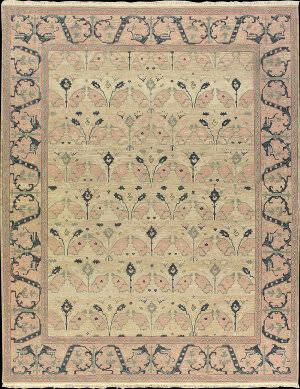 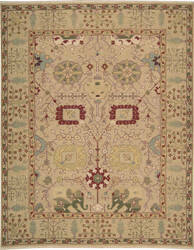 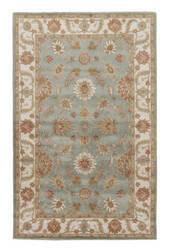 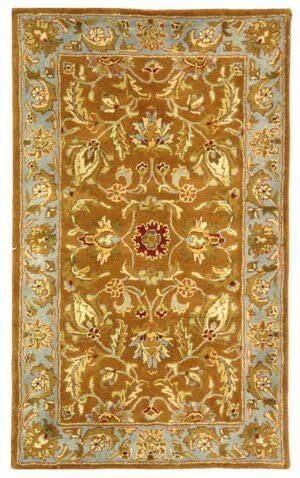 A spirit of fertile beauty imbues every detail of this elegant rug.